The much awaited cricket tournanment after last IPL is ICC Twenty20 World Cup 2012 which will be held in Sri Lanka from 18th september, and all the teams will be looking to clinch the trophy to their side.The kick off match will be played between the hosters Sri Lanka and Zimbabwe at mahinda Rajapaksha International Stadium, Hambantota. The 12 teams are divided into 4 groups, and then further into super eights. We have already shared ICC Twenty20 World Cup Tournament Schedule on this blog. Today we are sharing the T20 WC 2012 schedule in PDF format so that you can Download the T20 World Cup 2012 Schedule PDF for free and see the schedule anytime on any device. Hit the below link to download T20 Word Cup schedule in PDF format for free. "T20 World Cup 2012 PDF Download Free"
Sachin Tendulkar Joins Facebook, Over 4 Lakh Fans within Few Hours ! After all the young generation, even Sachin Tendulkar could not stay away from the Fever of Facebook. He officially entered the Facebook and within few hours, he got over 4 Lakh likes. I'll like to welcome you to my facebook family. As a child I always dreamt of playing cricket for India and I chased my dream of winning the World Cup for 22 years. It wouldn't have been possible without your support. I wanna take this opportunity to thank all of you for having prayed for me and wish well for me. I look forward to sharing my experience with you, join me on my facebook so that we both can share this experience and go through this journey together. " 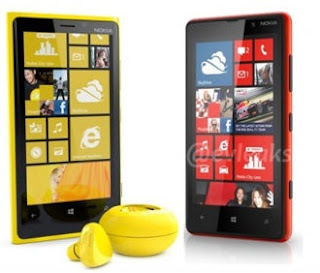 Nokia Lumia 820 and 920 with Wireless Charging ! This week's wednesday saw a revoultion in the field of smartphones as Nokia showcased two new Lumia smartphones based on Windows Phone 8-Nokia Lumia 920 and Lumia 820, at a conference in New York, where they featured the new technology, "Wireless Charging". As most of you would expect, this invention would run for the company's new bellwether. It is expected to give the comapny much required boost to stay in competition with the upcoming Apple's iphone 5 and Samsung's galaxy S3. A guaranteed advantage, that Lumia has over these Smartphone is its budget-friendly nature but expected price is yet to be announced. 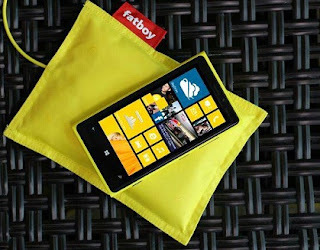 The phone is featured with all the bells & whistles we have learned about Windows Phone 8, so far but one of the most outstanding feature, according to me is the offline map support , enabling you to navigate even when not connected to Internet. 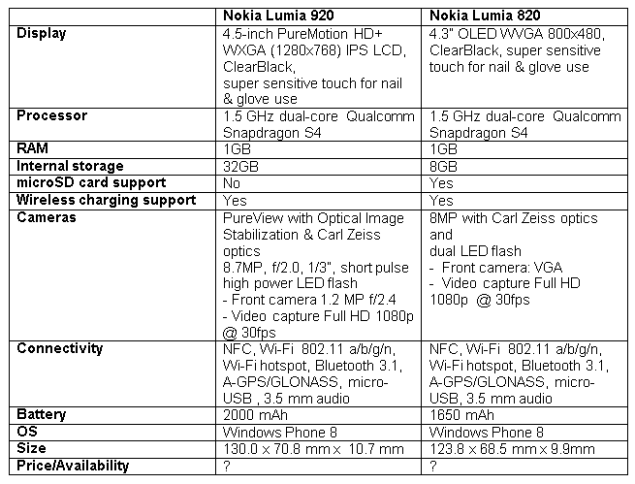 Lets glance at the unique features of Lumia 920 and 820, as it it might lure you in buying this device. This wireless charging technology is basically based upon Qi technology (pronounced 'chee'), a proprietary interface standard created by the Wireless Power Consortium. How does the Technology Work ? Device will be provided with a charging pillow as a base station, where the phone has to be placed. The pillow-broad, flat and not exactly comfortable, is featured with induction coils which generates an alternating electromagnetic field. This induces current in the inbuilt coil of the device. This current is used to charge the phone. The charging pillow has got to be the most bizzare and fun stuff, according to me. 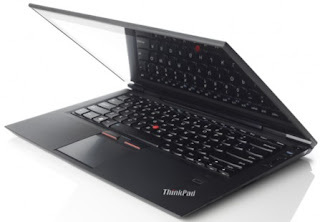 Featuring it with a neat trick up its sleeve, it has Minimised the incommodiousness of the charging options. Any app can be launched by the virtue of an inbuilt NFC chip when you place it on the pillow, you just have to say it!!! So, you could easily put a 920 down, keep it charged and automatically open your music player or alarm clock. And for those who cannot get enough of technology, many companies have launched accesories such as speakers to go along with Qi, foreseeing its potential to be the mainstream device charging option. Placing it on the speaker will get your phone charged and lets you enjoy music. 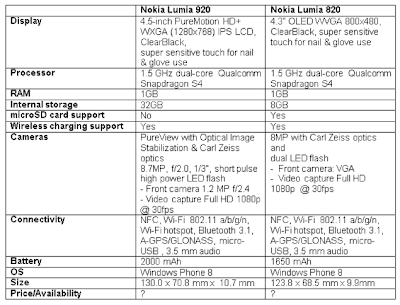 Nokia definetly has put up a standard to which rest of the upcoming smartphones will be compared to. It will be interesting to see how will this launch effect iphone 5's release due on 21st september. With TFT capacitive touch screen and 1GB RAM along with all the aforesaid feature this is , without a doubt, going to blow your minds of. IPL Team Deccan Charges Up for Sale ! Its official now that the IPL Team, Deccan Charges is up for sale, as the Franchisee had put up an Tender notice in the newspaper. 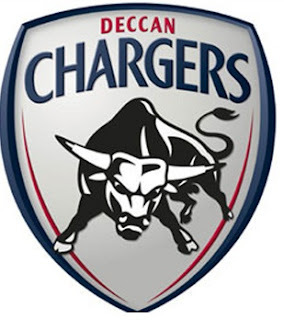 Notice was: "Deccan Chronicle Holdings Limited, under the aegis of the BCCI, invites bids in respect to its IPL franchise, The Deccan Chargers." It was issued by Venkattram Reddy, Chairman, DCHL. According to the notice, the bidder will acquire the team "as is where is" basis, means the franchisee will have to stay back in Hyderabad and will continue as Deccan Chargers. Still, the salaries of the IPL5 for the Team players have to be paid, and they will be settled by the new franchisee, who buys them. It is known that, Deccan Chargers were the IPL Champions for the 2nd Edition, and since then, they could not show up the performance, which may have turned the franchisee's minds down. What If Sachin Tendulkar Retires ? People keep talking about Sachin's Retirment on and off. 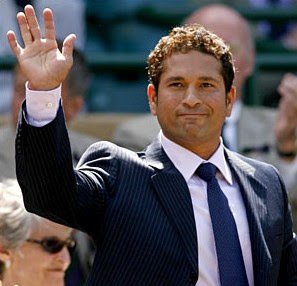 Have you ever imagined, what will happen, If Sachin Tendulkar Retires ? His Posters and banners will be out of stock, due to over sale across the world. 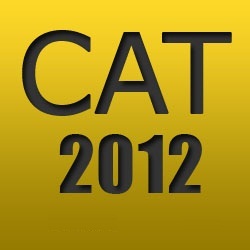 Facebook will be Crashed for few days, Google will be Hanged for few weeks, and websites will be blocked for few months. Tsumani threat for World on a scale of 100, as you can listen 1 Billion crying at once. 10 Days National holiday, 1 day International Holiday and Half a day for Sun and Moon, as they have been restless seeing Sachin batting Day and Night. Different Cricket Boards of world will contact sachin, as they want to talk to sachin, to coach their team. Newspapers will give extra edition of papers, publishing the records, stats, stories of Sachin. Dear Sachin, Cricket is ment for you, and you are ment for cricket, we really cannot imagine the day, you will retire from Cricket ! Keep Playing, Keep making us Proud ! :) Love you Sachin ! ‘Mobile Recharge’ , a common word we hear it often, in fact we use it often. People walk to the retailers for the recharge coupons , E recharges etc, but today, the Trend has changed and everything has gone Quick. ‘Mobikwik’ , The Quickest way to Mobile Freedom, DTH Recharge, enables the users to get the recharge done in a very easy and efficient manner. Recharge your Mobile, TV (DTH) and Datacard (Photon) Kwik Kwik Kwik only with MobiKwik.com! Get *FREE* coupons worth Rs 4000 on every payment! » Add money to your Mobikwik Balance (your e-Wallet). » With Balance, Recharge Anytime via Website, SMS, CALL or Mobile App. » Add 20 Friends & Family mobile numbers to your Account. Payment Options like Debit Card, Credit card and Bank Transfer. "Sometimes, due to technical glitches, when some problem occurs, they have a Phone number where they provide the Quick solution."